As the co-founder and the CEO of the Endeavor company, Linda Rottenberg has served as an inspiration to many. She has made it her life’s mission to provide budding entrepreneurs with the help that they need to turn their bright ideas into decisive action. Even if the person does not have a great deal of experience or a concept that seems outrageous, Rottenberg still takes the time to provide aid. No idea is too crazy or out there for Rottenberg and her work serves as an inspiration to anyone who has been told that they cannot achieve their goals. After taking a dive into her book, Crazy Is A Compliment, these are the top five lessons I believe that every entrepreneur can learn from the works of Linda Rottenberg. Whenever a would be entrepreneur comes up with a brand new idea, they are usually called crazy by people who cannot take the time to think outside of the box and see their vision. Rottenberg believes that anyone who is going to try something new and seemingly insane will experience blow back from a variety of sources. She is quick to tell her acolytes about the problems Henry Ford experienced on his way to the top and how Sam Walton’s Wal-Mart idea was considered crazy at the time. 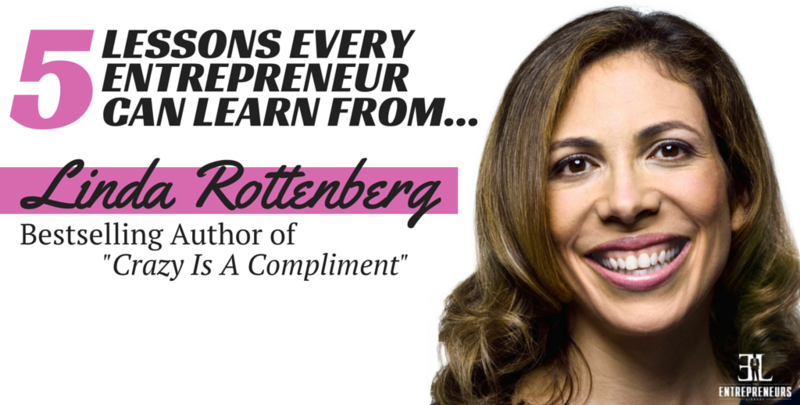 While most people see entrepreneurs as being wacky and adventurous types, Rottenberg is quick to tell her audiences that this perception does not always match up with reality. She is quick to speak about the importance of taking risks that may seem crazy to the outside observers, but are actually calculated in nature. A common piece of advice that she gives is to keep your day job while you are trying to get your business off of the ground. Rottenberg speaks about how crucial it is not to bet the entire farm on one idea. Craziness and the ability to stomach risk taking are great qualities to have, but only when they are properly utilized. Even some of the biggest names in the world of entrepreneurs hedged their bets. Phil Knight worked as a tax preparation expert before Nike took off and even Richard Branson (who is seen as being wacky and nuts) talks about containing the potential for disaster. Rottenberg makes sure that these parts of the story are not left out. 3. Want To Be An Entrepreneur? No Hooded Sweatshirt Required! Rottenberg takes great pains to dissociate people from the common mental image of the disheveled, rumpled entrepreneur who drapes themselves in old hooded sweatshirts, telling stories of women who launched successful enterprises in the comfort of their own kitchens at home. Despite what you may think, you do not need to be a young male clad in a sweatshirt in order to meet the stereotype of what an entrepreneur should look like. Young males are no longer the predominant group of budding entrepreneurs. Statistics now show that an entrepreneur is just as likely to be an older male (over the age of 55) or a female. With more and more Americans being forced to work for themselves during this turbulent economic times, it is crucial to get with the current program or end up being left behind. Many startups employ family members, not because they are the most qualified for the position, but because they have the time on their hands and are able to work for little to no money. That is why a startup prenuptial agreement is necessary. As your company grows, you may need to replace some of these beloved family members with people who have more experience in the particular areas of expertise that you require. When you start your business, Rottenberg preaches the importance of coming up with a formal partnership agreement and having it in writing. The vision that you and your family members start off sharing for the company can change and in many instances, a family member may even want out, but be too timid to speak up. Avoid these circumstances by spelling out exactly what you expect from your employees and/or partners during the early stages. Rottenberg often talks about her past as an extreme workaholic and attempts to teach her audiences about the importance of work/life balance. When you are a workaholic, not only is it difficult for you to maintain a normal lifestyle, but it can also be difficult to retain talented employees. Make sure that you get a life and encourage anyone who works alongside of you to do the same. After all, what good is success if you don’t take a moment to enjoy it? The idea that you have to ignore your family or put the people you love on the back burner is a foreign concept to Rottenberg and she often speaks about the surprise in people’s voices when she mentions her daughter’s dance recitals or other family events. In order to be successful, your personal life does not have to fall by the wayside, a lesson that Rottenberg goes out of her way to preach. Nice lessons, thanks! 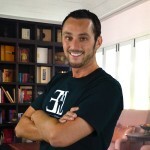 I´ll try to use my knowledge in a business! Love the “Risks are not always risks” part. Of course, as an entrepreneur, you should have the fighting spirit to risk something for your dreams and make it a success. Great article, Cody. Very valuable lessons. I enjoyed being called crazy when I was a young and budding entrepreneur in the stages of setting up my Bristol accountancy office. Now I am afraid that no one calls me crazy, or young! This is so crazy. I tried on my webmaster blog http://www.very-good-idea.com without success. Then I read these articles and gained so much more income. I improved all my own articles thanks to this blog and improved a lot. Keep up the good work. You are the best.